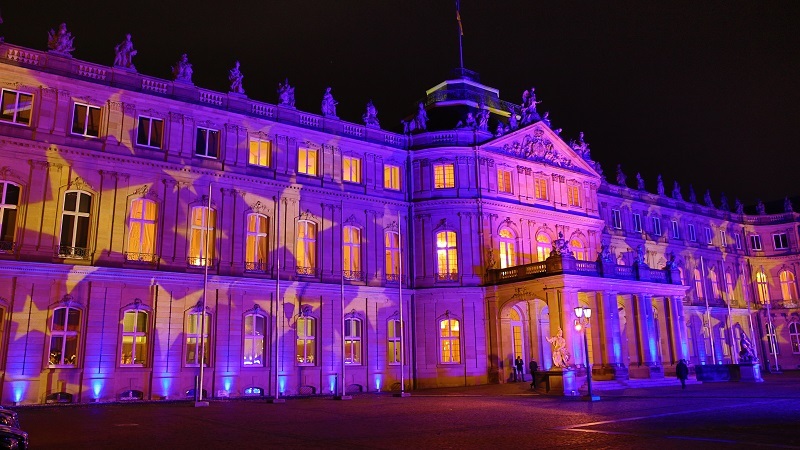 For the New Year's reception of the state of Baden-Württemberg Prime Minister Winfried Kretschmann invited as every year to the new Stuttgart Castle. 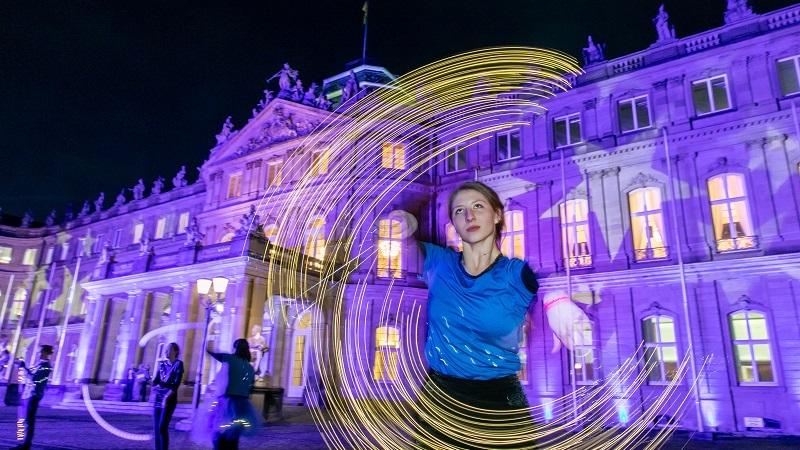 And as every year, we again made our energetic contribution in terms of sound, lighting and media technology to transfer the events from the festive marble hall for the numerous public in three more rooms, and the entire state government an optimal appearance to the people and the press to enable. 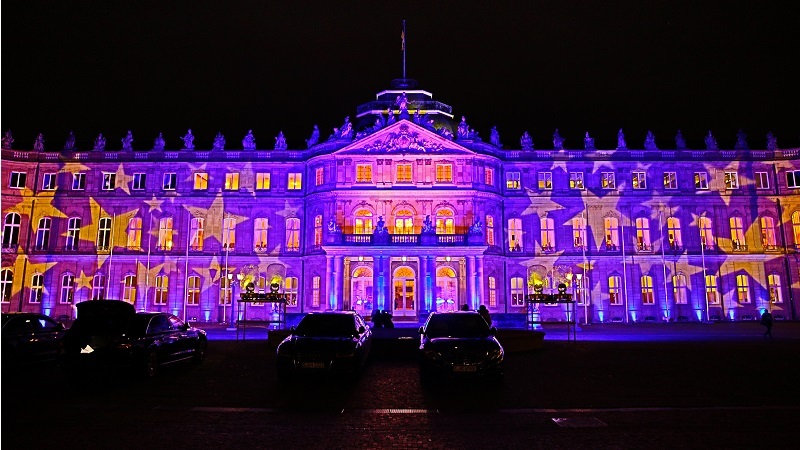 As the New Year's reception this year was in the motto of the European elections, we also illuminated the entire façade of the historic castle. Stylishly in the European blue with yellow stars ... For the lighting 8x SGM P5, 4x JB Lighting P7 with Airdomes, and 40x JB Systems Accu Color were used.